This is “Project Profiling”, chapter 2 from the book Beginning Project Management (v. 1.1). For details on it (including licensing), click here. A project profile provides a snapshot look at a project and provides valuable information in the development of the project execution plan and the assignment of resources to the project. An analysis of the project environment, including the internal and external environment, provides information that allows the project’s parent organization to allocate the organizational resources and assign the appropriate organizational leadership to the project. Most organizations have some form of project profiling process. Some simple processes consider the project size, technology, and location to develop the project profile. This chapter discusses different processes for profiling projects and discusses one method for developing a project profile based on the project’s complexity. Identify different methods of typing projects. Aaron J. Shenhar and Dov DvirAaron J. Shenhar and Dov Dvir, “Toward a Typological Theory of Project Management,” Research Policy 25 (1996): 607–32. developed a typologyClassification or profiling of items that have characteristics or traits in common.—classification or profile—of engineering projects that reflected two dimensions. The first dimension reflected the technological uncertainty and ranged from low tech, medium tech, and high tech to super high tech. Although projects involve the use of various levels of technology, Shenhar and Dvir develop criteria for each type of technological uncertainty that enabled the project to be typed. The second dimension reflected the system scope. The system scope dimension ranged from assembly projects that dealt with building a single component, to system projects that included interactive elements, to array projects that included a wide dispersal of interactive systems and subsystems. Shenhar and Dvir observed that the project execution approach was connected to the project type. The study identified different management patterns associated with project type as well as different management tools and practices. As the project system scope became more complex and the system scope of the project became larger, more sophisticated management tools were put in place to reduce project uncertainty. As project technology increased, project managers became more invested in processes to manage technical issues such as redesign and testing. As projects increased in system scope, project managers became more invested in formal planning and control issues. In later research, ShenharAaron J. Shenhar, Adapting Your Project Management Style: The Key to Project Success (Hoboken, NJ: Stevens Institute of Technology, 1999). developed recommendations for adjusting the project management approach based on the project typology—systematic classification or profile. For example, project managers will use more risk management techniques (see Chapter 11 "Managing Project Risk" on risk management) when the technological uncertainty is high. Robert YoukerRobert Youker, “Defining the Hierarchy of Project Objectives,” IPMA Conference (Slovenia: American Society for Advancement of Project Management, 1998). identified basic differences in project types. Among the attributes he used were the uncertainty and risk, level of sophistication of the workers, the level of detail in the planning, the newness of the technology, and the time pressure. Youker also looked at project size, duration, industrial sector, geographic location, number of workers, cost, complexity, urgency, and organizational design as attributes that help determine a project profile. The typology of Shenhar and Dvir characterized projects based on the attributes of technological uncertainty and complexity of scope. Youker used the attributes of uncertainty and risk, sophistication of workers, planning detail, industrial sector, location, number of workers, cost, complexity, urgency, and organizational design. 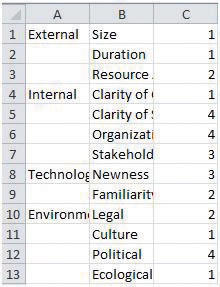 The typology of Shenhar and Dvir used attributes of technological ____________ and project scope. The typology of Youker used several attributes, including the ________ of workers. What are the two attributes of a project that Shenhar and Dvir used to characterize projects? Which attributes used by Youker but not used by Shenhar and Dvir do you think are important? Explain your answer and give an example of a situation where consideration of the attribute would make a difference to the project. Describe the characteristics of complex systems. Identify the categories used by the Darnall-Preston Complexity Index. Understanding and managing complex systems like a project require some systems concepts that have been developed in other disciplines and applied to project management as a tool to make complex projects manageable. When is a project complex? The answer to this question depends on how you define complex. One way to explore this question is to look at complexity models in various disciplines for insights that may apply to project management. In biology, the simplest plant is composed of one cell. As the cellular structure increases in number of cells and the number of connections to other cells increases, the plant life is seen as more complex. In the animal kingdom, the single cell ameba is the simplest animal, and life becomes more complex as the numbers of cells combine to form muscles and organs. The complexity of a system is usually determined by the number of parts or activities, the degree of differentiation between the parts, and the structure of their connections. Heterogeneous and irregularly configured systems are complex, such as organisms, airplanes, and junkyards. Order is the opposite of complex. Ordered systems are homogenous and redundant, like an interstate toll booth or a production line in a factory. Complex systems have multiple interacting components whose collective behavior cannot be simply inferred from the behavior of the components.Stephen Jay Gould, Full House: The Spread of Excellence from Plato to Darwin (New York: Three Rivers Press, 1996). In addition to the number of parts, the degree of differentiation between parts and the number, type, and strength of relationships between parts also influences the degree of complexity. For example, the transistors in a computer have three connections to other parts of the computer, but each nerve cell in the human brain can be connected to thousands of other cells in the brain, which is why the human brain is more complex than a computer. Complexity is context dependent. A project is more or less complex in relation to the number of activities, the type and strength of relationships to other project activities, and the degree and type of relationships to the project environment. Projects are complex adaptive systemsOrganization of elements that change in response to events in their environment.. A complex adaptive system is a system consisting of a large number of parts or activities that interact with each other in numerous and various ways. A complex adaptive system is adaptive if the activities adjust or react to the events of the environment. Successful adaptive systems adjust in a way that facilitates or allows the system or project to achieve its purpose. The dependence of the project on the activities, the interdependence of the activities, and the specialization of the activities underscore the relationship dependenceActivities that are affected by events that change the characteristics of other activities. of project activities. This relationship dependence is a key aspect of complex adaptive systems. The nature of complex adaptive systems can be probed by investigating the impact of change in one activity and the effect on other activities and the behavior of the whole. Activities must be studied and understood as interrelated, connected parts of the whole. If you remove a computer chip from a computer and the computer powers down, do not assume the purpose of the chip was to provide power to the computer. If you remove or shorten a project kickoff activity, do not assume the project will finish earlier because of the dependence of later project activities on project kickoff activities. Any change to the kickoff activities will impact other activities and the project as a whole. 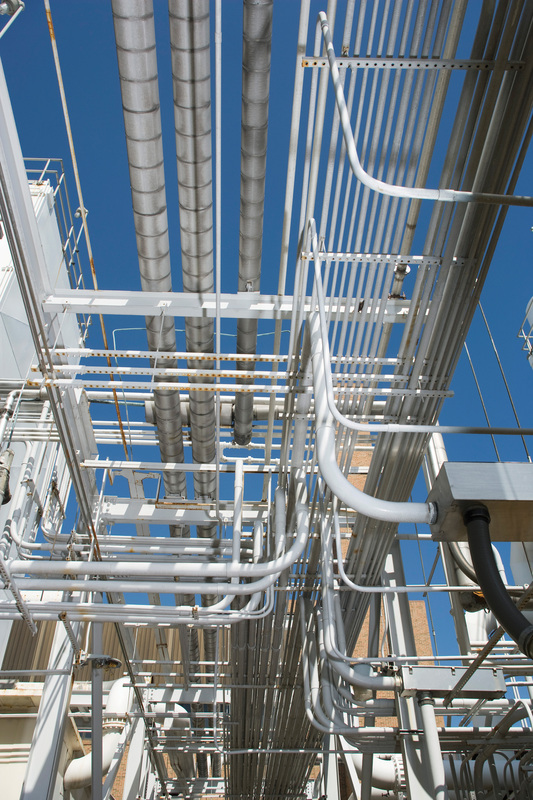 A chemical company was building a new plant in Tennessee with a new design model that was intended to shorten the design phase on the project and lower the cost. The design of the plant was managed by a United States–based company with part of the design work contracted to an Indian company. The engineers in the United States would work on the design and would electronically transfer the design work to India at the end of the day. Engineers in India, many who had graduated from U.S. colleges, continued to work on the design and at the end of the day would electronically transfer the work back to the United States. The project would benefit from differences in time zones that would allow work on the project twenty-four hours per day. The project would also benefit from the lower engineering wages in India. The project approach was abandoned when the project started falling behind schedule. The added complexity of the project offset the scheduling and cost benefit. The project complexity profile became significantly less complex when the execution approach changed from global to domestic partnering. The execution model could have worked but would have required more investment during the start-up phase of the project. Complex adaptive systems have three characteristics that are also reflected in complex projects. Formal organizational charts indicate reporting relationships but are not very effective at displaying project relationships. Projects organize around the work, phases, or activities. The organization of the project reacts to the nature of the work at any given phase. During the start-up meeting of a large complex project, the project manager facilitated the development of the project organization chart that included all the major companies and leaders from the client and key subcontractors. After the chart was complete, the project manager ripped the chart up in front of the entire project team to demonstrate his key message, which was that there are formal reporting relationships, but the real leadership and communication will change during the life of the project. In other words, the system will adapt to meet the needs of the project at each phase. During the design phase, the engineering team will identify the primary needs and communication will center on supporting the engineering efforts. Later, the procurement team will take the lead as critical equipment and supplies are identified and purchased. 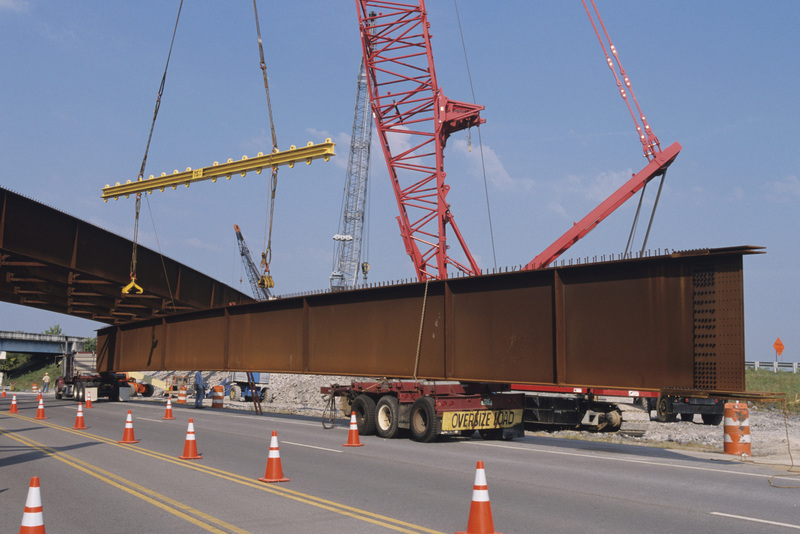 Later in the project, the construction team takes the lead as the project moves from the design offices to the field and the engineering and procurement teams support the construction effort. Informally, the project team reorganizes information flows and priorities to support the current work of the project and a good project manager facilitates this adaptive behavior of the project organization by minimizing the impact of formal authority and processes. A deterministic system is a system that will produce the same results if you start with the same conditions. The outcome can be reliably predicted if you know the starting conditions. For example, if you fire a rifle several times at a target, the hits on the target will be closely grouped if all the initial conditions are almost identical. A nonlinear, or chaotic, system can produce wildly different results even if the starting conditions are almost exactly the same. If today’s weather pattern is almost exactly the same as it was on a previous date, the weather a week later could be entirely different. Projects are usually nonlinear systems. If we execute an identical complex project three different times, we would deliver three different outcomes. We start with the assumption that the project is deterministic and use scenarios and simulations to develop the most likely outcome, yet a small change such as the timing of someone’s vacation or a small change in the delivery date of equipment can change the entire trajectory of a project. A pharmaceutical company in California developed a drug that improved the quality of life for people with arthritis and in some cases prevented serious debilitations and even death. The drug was in the final FDA testing stage, and the company decided to accept the risk and proceed with designing and building a facility to manufacture the drug. The company had done this type of project before, and some managers felt that the outcome would be fairly predictable. The company assigned the lead scientist as the project manager to get the project started. Two weeks into the project start-up, the company president realized the project needed a project manager with more engineering and construction expertise and hired a new person to manage the project. Then the company decided to build the facility on land the company owned in Colorado, and the project team began designing a facility that would fit the existing site. Thirty days into the design phase, the company found an existing facility that could be retrofitted to meet the production needs of the new drug. During the first week of construction, the drug failed an FDA test and the project was placed on hold. This project environment was highly volatile, and the project plan and organization adjusted and evolved to respond to each of these changes. Not all projects experience this degree of environmental turbulence, yet all projects experience some forms of environment shift during the life of the project. This is one of the reasons project managers develop an aggressive change management processMethod of incorporating change into project planning and execution processes.. The purpose of the change management process is not to stop change but to incorporate the change into the project planning and execution processes. Projects, like all other complex adaptive systems, must respond to the evolving environment to succeed. Plan as if the project is deterministic but be prepared for unpredictable changes. Complex systems interact in unpredictable ways. In addition to responding to changes in the project environment, the internal project organization and environment is in a constant state of change. New people become members of the team, people quit, retire, and get sick. The office roof starts leaking, headquarters rolls out a new computer program required for all workers, or the project’s lead engineer cannot get her immigration visa extended. These are real examples of events that occurred on one project, and the project team adjusted to each event. The adaptation to changes in the project’s internal situation while also adapting to the external environment reflects the coevolving nature of a complex adaptive system. An increase in the number of events within the project and the project environment that are likely to change during the life of the project is reflected in an increase in the complexity of a project. Profiling a project correctly requires a system that is relatively easy to use but that includes enough attributes to capture all the most important characteristics of a complex project. 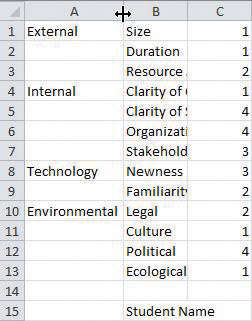 The Darnall-Preston Complexity Index (DPCI™)Project profiling system that groups project attributes into four categories: internal attributes, external attributes, technological complexity, and ecological attributes. achieves this objective by grouping eleven attributes into four broad categories: internal attributes, external attributes, technological complexity, and environmental attributes. Projects are more likely to fail in the beginning, not in the end. This generalized statement reflects the importance of understanding the environment in which a project will be executed and the importance of developing an execution plan that can be successfully implemented within this environment. Recovery costs can be extremely high for projects where the environment is misread or the execution plan does not address critical issues of the project environment. In addition to cost overruns and delays in the project, execution plans that are not aligned with the project environment can create barriers that make recovery difficult, and in some cases, the business purpose of the project cannot be met. The DPCI is a tool to assist project stakeholders in developing a comprehensive analysis of the project environment and a project execution plan more aligned with that environment. Understanding and aligning a project with the project’s environment increase the likelihood of achieving project success. The foundation of a sound project execution plan is an assessment of the project environment. This assessment provides the information on which the execution plan is built. In the absence of an accurate assessment of the project environment, the project leadership makes assumptions and develops the execution plan around those assumptions. The quantity and quality of those assumptions will significantly influence the effectiveness of the project execution plan. The amount of information available to the project manager will increase over time and assumptions will be replaced with better information and better estimates. As better tools are developed for evaluating the project environment, better information will become available to the project manager. The project environment includes all the conditions that can influence the outcome or success of the project. Project size, technological complexity, cultural and language barriers, the political landscape, and resource constraints are some of the components of the project environment that can influence the project success. Understanding these influences and developing a project profile creates a foundation for building an effective project execution plan. The DPCI is one model for understanding and profiling projects. 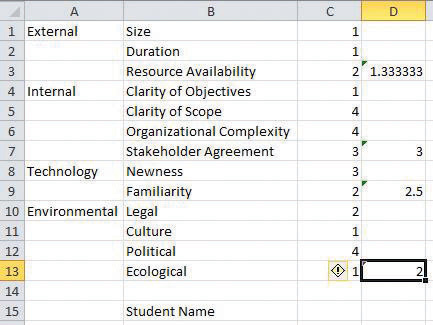 This index assesses the complexity level of key components of a project and produces a unique project profile. The profile indicates the project complexity level, which provides a benchmark for comparing projects and provides information about the characteristics of a project that can then be addressed in the project execution plan. The DPCI provides project stakeholders with information about the project to define the experience, knowledge, skills, and abilities needed by the project manager. The DPCI also has implications for the composition, organization, and skills needed by the project leadership team. The DPCI provides information and a context for developing the project execution plan and for assessing the probability of success. Complex systems have many different parts that interact with each other in different and often unpredictable ways. They adapt to changes in their external and internal environments. The Darnall-Preston Complexity Index (DPCI) groups project attributes into four categories: external attributes, internal attributes, technological complexity, and environmental attributes. Complex systems _____ to changes in their external and internal environments. The Darnall-Preston Complexity Index (DPCI) groups project attributes into four categories: external, internal, _________, and environmental. What are the characteristics of a system that make it complex? Consider the example of the drug manufacturing facility. Describe in your own words how this project demonstrated the attributes of a complex system. Describe each of the external attributes that contribute to project complexity. Describe each of the internal attributes that contribute to project complexity. Describe each of the technological attributes that contribute to project complexity. 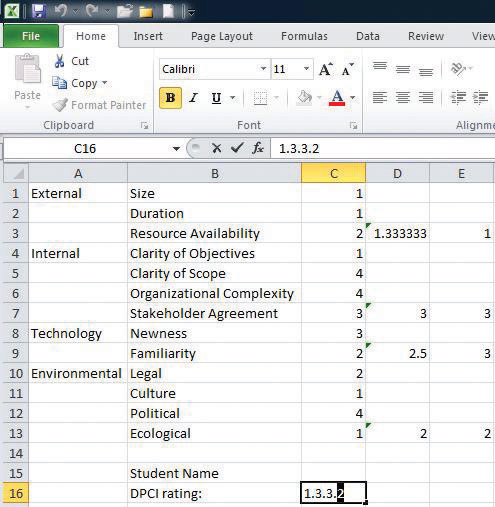 Describe each of the environmental attributes that contribute to project complexity. These characteristics can be grouped together to create a project profile. There is an optimum execution approach for each project profile and therefore an optimum set of skills and experience for the project manager and execution team. The external attributes include those issues that are typically established early in the project definition phase and are usually outside the direct control of the project management team. The project size can be a product of the dollars needed to execute the project or project cost. The cost of the project is estimated during the conceptual phase of the project. At the time the project is authorized, the cost or size of the project is established. The duration or time allocated to complete the project and the resources available are also attributes that are established when the project is authorized. Project size is a relative concept. How do we decide if something is large or small? A 150-pound person is big if the person is ten years old. A 150-pound person is small if the person is a professional football lineman. The frame of reference provides the context in which size is determined. The size of a project is also relative. A $250 million oil refinery expansion is a relatively small project in an industry where billion dollar projects are common. A $250 million pharmaceutical development project or software development project would be considered a large project. The size of a project is determined by the context of the industry and the experience of the team executing the project. Within the construction industry, firms usually specialize in projects that fall within a defined range. Small firms usually execute small projects and large firms usually execute larger projects. There is a size range for which the company experience, management skills, tools, and work processes are primarily designed. This size range or comfort zone exists for both the company and the members of the project team executing the project. Tools and skills must match the size of the project. When a project team executes a project outside their comfort zone, stress is placed on both the tools and project team. When a project is larger than the comfort zone of a company, stresses are placed on the ability to provide experience and appropriate work processes, and the results are typically cost overruns and schedule delays. To mitigate this stress, some companies will divide large projects into smaller projects and execute the smaller projects with separate dedicated staff and resources. The key to success then becomes the coordination of the small projects to behave as if they are one large project. One example of this process was a copper mining project in Argentina. The comfort zone of the company was projects ranging from $150 million to $500 million. Projects over $500 million were divided into smaller projects. The mining project was estimated to cost a little over $1 billion and the project was divided into three projects, each with a project manager and leadership team. Although the projects shared some resources and reported to an oversight project manager, each project developed a separate execution plan that included a budget and schedule. Large open pit mining project. When a company is executing a project that is much smaller than the company norm, resources are often misused and inappropriate work processes are utilized. The result often increases the project costs. Some companies with a history of executing large projects have set up a small project group to execute smaller projects. These groups establish a different culture, develop appropriate work processes, and use tools designed to execute smaller projects. The more the project size is outside the comfort zone of the project, the more stress is created for the project. This is true on both ends of the spectrum. Both smaller and larger projects that fall outside the comfort zone of the project management team will create stress for the project. New skills, tools, and processes will need to be developed to manage the project, and this activity will absorb management time and energy. The higher the stress level created by executing a project outside the comfort zone of the organization, the greater the impact on the complexity level of the project. The project team also estimates the duration of the project and establishes a project end date based on normal work (e.g., forty hours per week) and the availability of resources. Sometimes the normal time needed to complete a project is longer than the time available. The investors in a planned hotel start booking rooms for an upcoming Super Bowl weekend a year before the hotel is finished. This is six weeks ahead of the time estimated to build and open the hotel. People will be working overtime, suppliers will be paid a bonus to supply materials early, and management is meeting with city officials to expedite permitting issues. A new project schedule is developed based on these changes to the execution approach, and now the project schedule has zero float. The result of this six-week compression to the project schedule is additional stress on the project. Significant management time and energy will be invested in tracking and managing schedule issues. Every issue that arises will need to be resolved quickly and involve the project’s senior manager to assure the project schedule does not slip. This additional stress increases the overall project complexity. Projects require both human and tangible resources. The project requires people with the right experience, knowledge, and skills to accomplish the assigned tasks. Construction projects typically require resources such as bricks and cranes. Some projects require specialized subcontractors with skills not found within the project team. Each of these resources required by the project will be needed at the point in the project schedule when the materials or skills are required. When these resources are scarce or not available, additional management time and energy is needed. In 2003, Boeing announced the development of the new 787 Dreamliner Airplane. The airframe for the new airplane was a new composite material. During the same period that Boeing was beginning construction of the new manufacturing facility, other new planes were announced, and the Air Force increased its demand for people with airplane manufacturing and maintenance experience. A project was chartered to train the people the new plant would need to manufacture the Boeing Dreamliner. The project manager found that the people with the skills and knowledge needed to develop the curriculum and train the workers were in short supply. In addition to the lack of skilled trainers, the materials needed for the workers to train on were also scarce. The project manager dedicated significant time and energy developing the resources the project needed. When resources needed to execute the project are not readily available, the project leadership dedicates more management time and energy to acquiring the resources or finding innovative solutions to accomplish the project goals without the needed resources or with creative alternative solutions. The more time and energy the management team must dedicate to searching for resources or alternatives, the more stress on the project. The more scarce and more important the resources, the more stress that is placed on the project. The internal attributes are within the control or influence of the project manager. Internal attributes include clarity of objectives, clarity of scope, the organizational complexity, and stakeholder agreement. Although the clarity of objectives, as with the other attributes, can be improved during the life of the project, the project profile reflects the project at a given time. If the project objectives are not clear during the evaluation of the project, this lack of clarity impacts the complexity of the project. Project decisions are made based on how these decisions help the project meet its objectives. If the objectives are unclear, the team will not make the best decisions. The greater the confusion for the project team on the goals and objectives of the project, the greater the impact on the complexity of the project. A consultant was asked to evaluate the likelihood of success of a large project in Philadelphia. The consultant interviewed the project leadership and asked if the goals of the projects were clear. Each member of the leadership team responded that the goals and objectives were clear. When asked what the goals were, the answers varied greatly. A critical piece of equipment was being fabricated in Europe for a construction project in South America. The cost to transport the equipment by air was $200,000 more than by ship. Transporting the equipment by ship would also delay the project two months. Early in the project, it was determined that any delay in the project would cost the project over $1 million per month. Because the goals of the project were well understood, the decision to transport the equipment by air was made quickly and easily. A large mining company initiated a copper mining project on an ecologically sensitive island in Indonesia. The company stated very clearly and forcefully that every effort would be made on the project to protect both the human and natural environment of the island during construction and operation. Every major decision passed through an evaluation of the impact on the island ecology. Although the island ecology increased the complexity of the project, the clear goals mediated the project complexity. The project scope defines what is inside the project and what is outside. Does the project to train five hundred technicians for the Boeing 787 include recruiting and assessing potential employees? The project scope did include recruitment and assessment, but hiring processes and drug testing belonged to Boeing. This scope was clear about which responsibilities belonged to the contractor doing the training and which responsibilities belonged to the parent organization. Confusion about the scope and objectives must be avoided. Not all project scopes are this clear. The development of a clear project scope depends on information available about what products and services will be required. A project to develop a vaccine for a new strain of flu may not include sufficient information to develop the processes the team will utilize to understand the flu virus and develop a vaccine. As the team develops more information, the scope can be further developed. Leadership time and energy will be focused on developing scope clarity. The lack of clarity and the amount of time needed by the leadership team to develop a clear scope will add to the project complexity. The structure of the project’s client organization and the organizational decision-making processes influence the project complexity. A project with one client as the central point for making decisions and providing client approvals and technical information has only one relationship to manage and a streamlined communication process. Projects with a team representing the client require more of the project manager’s time and energy managing the client relationships and communication process. The client team approach brings more expertise and often more comprehensive project oversight, but it adds to the project complexity. Often there is more than one major stakeholder in the project. An increase in the number of stakeholders adds stress to the project and influences the project’s complexity level. The business or emotional investment of the stakeholder in the project and the ability of the stakeholder to influence the project outcomes or execution approach will also influence the stakeholder complexity of the project. In addition to the number of stakeholders and their level of investment, the degree in which the project stakeholders agree or disagree also influences the complexity of the project. 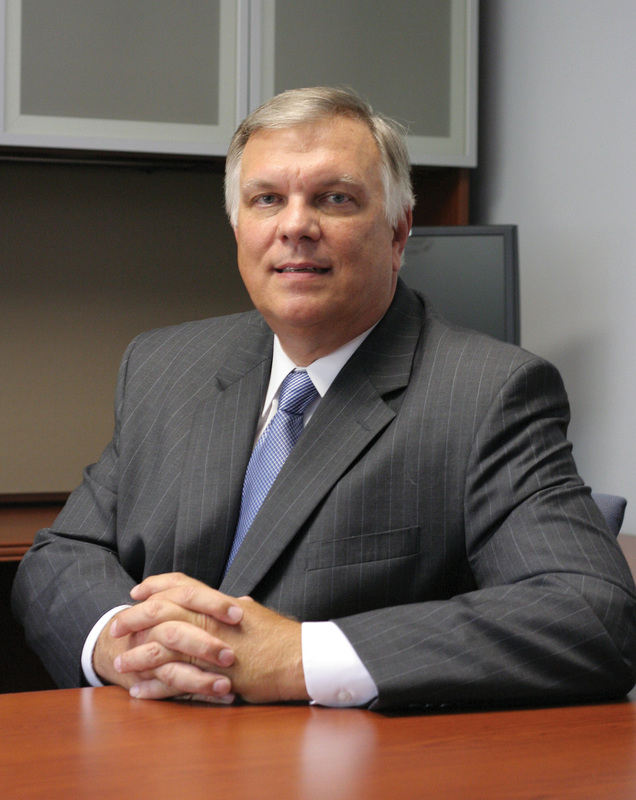 A small commercial construction project will typically have several stakeholders in addition to the client. All the building permitting agencies, environmental agencies, and labor and safety agencies have an interest in the project and can influence the execution plan of the project. The neighbors will have an interest in the architectural appeal, the noise, and the purpose of the building. A U.S. chemical company chartered a project team to design and build a plant to produce the raw materials for building truck tires designed for nonpaved roads. The plant was to be built in India a few years after an accident that killed several Indians and involved a different U.S. chemical company. When the company announced the new project and began to break ground, the community backlash was so strong that the project was shut down. 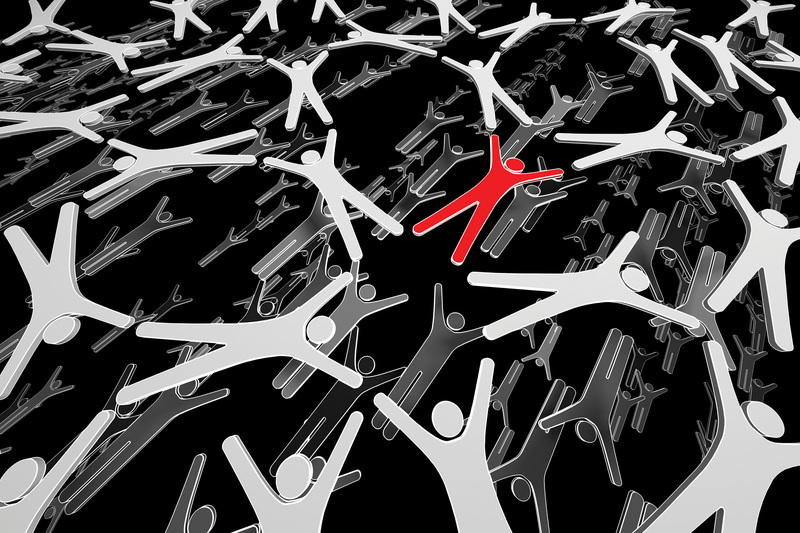 A highly involved stakeholder can significantly influence your project. A small college in South Carolina won a competitive grant to erect and operate a wind turbine on campus. The engineering department submitted the grant as a demonstration project for engineering students to expose students to wind technology. The campus facilities department found only one location for the wind turbine that would not disrupt the flow of traffic on campus. The engineering department found that location unacceptable for students who had to maintain the wind turbine. The county construction permitting department had no policies for permitting a wind turbine and would not provide a building permit. The college had to go to the county council and get an exception to county rules. The marketing department wanted the wind turbine placed in a highly visible location to promote the innovativeness of the college. Each of the college’s stakeholders had a legitimate interest in the location of the wind turbine. The number of stakeholders on the project, multiplied by their passion for the subject and the lack of agreement on the location, increased the complexity of the project. Significant time and resources of the project will be dedicated to identifying, understanding, and managing client expectations. The technology of a project refers to the product of the project and not the technology used to manage the project. This technology is typically unique to the industry. A pharmaceutical project technology is the drug-making technology or pharmacology. The technology for a project to build a new automobile plant is the car production process. The key stress on the project is the newness of the technology. What aspects of the technology are known, and what aspects are unknown? Does the project combine technologies on the project that have never been combined? Project technology that is newer and more complex will require more technological expertise on the project team. A church in western New York decided to build a new family life center that would not use electricity from the power grid. The charter of the project included statements that required the building to use renewable power sources and have an environmentally friendly footprint. The project required the adaptation of a new technology for producing and managing power, location of the building relative to the sun, and landscaping to minimize water usage. Most of the technology was tested, and the project team brought in experts to help design and implement a program to meet the requirements of the project. The technology of the project required the project team to develop a new understanding of this technology and work processes to adapt the project to address the requirement of the technology. Typically, the newer the technology and the less familiar the project team is with the technology, the greater the stress and the contribution to the complexity of the project. The project environment includes all the issues related to the environment that will influence the development and execution of the project plan. A project to build an airport expansion in Pittsburgh, Pennsylvania will have very different legal, cultural, political, and ecological issues to address from an airport expansion in São Paolo, Brazil. The environment attributes in Brazil require more planning, resources, and leadership attention to successfully execute the project. The greater the number and difficulty of the issues, the greater the influence on the complexity of the project. 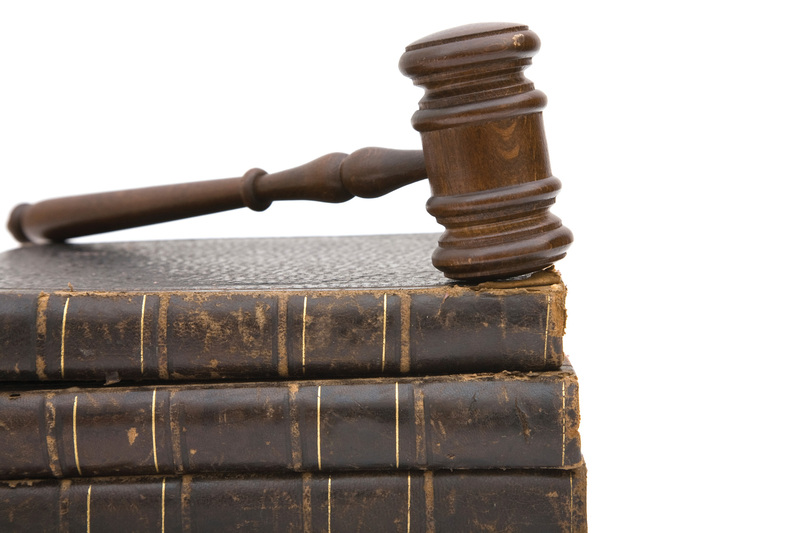 The legal issues on a project can be broad and include many different levels of government. Most local governments have various permits, such as business licenses and building permits, required to do work. Some projects will have security issues and will work with local law enforcement. Legal problems increase the project’s complexity. Workforce laws vary significantly in country, regional, and local jurisdictions. The hiring and management of workers can be a complex and time-consuming issue for some projects. Companies not used to working in a union environment will invest project resources in learning and adapting to the new environment. Scheduling holidays, supporting maternity leave, and dealing with workforce reduction issues surrounding project closeout will vary in each environment, industry, and project. Understanding and managing workforce issues on a project can be simple or very complex. National, regional, and local taxes require a project tax approach or policy on most international projects and some domestic projects. Duties for equipment and material brought into a country add complexity to the procurement plan. Equipment used temporarily to execute the project, such as a crane, is treated differently than permanently installed equipment, such as a pump. In some countries, a third party is hired to expedite the flow of materials through complex custom processes. The new president of Argentina instituted a program to encourage economic development. One of the projects to support this program was a copper mining project in northern Argentina. This is the desert area of Argentina with a basic agrarian economy. A joint venture was formed with the encouragement of the Argentina government between a Canadian and Australian Company with all three entities owning a share of the new company. The conceptual design work was done in Canada with support from offices in Chile, Argentina, and the United States. 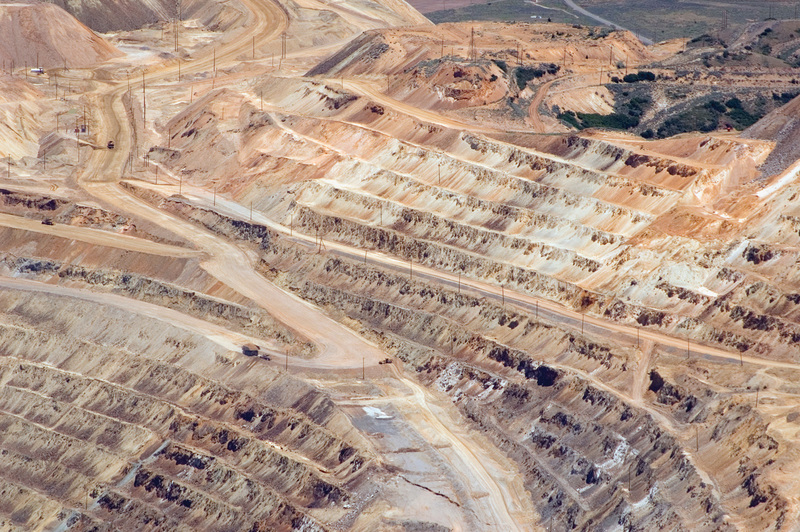 A U.S. contractor was awarded the contract to design, procure equipment, and build the mine. The project leadership team included members from the United States, Canada, Australia, Argentina, Chile, Puerto Rico, Cuba, and Lebanon. Materials were procured, transported, and brought through customs from twenty-one different countries. Legal issues on this project consumed a great deal of management attention and sometimes affected the project execution. Materials were occasionally delayed in customs, people with critical skills could not get visas to enter Argentina, and which country’s laws would apply to the contracts had to be debated. Not every project will have significant legal issues. When legal issues are involved, they are typically significant and will add to the complexity of the project. Understanding the legal issues than can affect the project and developing a plan to address these issues will reduce the complexity of the project. Culture is a term that reflects the community’s assumptions, norms, values, and artifacts. Community includes the parent organization charting the project, the local community or communities where the project is executed, and the region and country where the project is located. The project team must understand the community’s culture and its potential impact on the project. Culture also defines the meaning of work, truth, the value of nature, relationships, and how to communicate. Projects executed in various cultures will often experience cultural conflict. A project team from the United States was responsible for executing a project in Argentina. The U.S. leadership team included women in key leadership positions, and the Argentines refused to take direction from females. The U.S. team believed strongly in their leadership capability and refused to make changes. This conflict was settled by senior managers of both organizations, and rules were established that respected all team members in leadership roles. The conflict did not go away, but the team was able to successfully execute the project with the original team. Delays were experienced on the project that could be traced to this cultural conflict. Many organizations have rule-based cultures. Institutions of higher learning, organizations related to judicial organizations, and most government organizations are examples of rule-based organizations. The organizational structure and culture inhibits risk taking through established rules and policies. Projects are goal based and focus on plans and processes to achieve goals. Goal-based cultures promote assuming risk to achieve goals. Projects that are closely tied to a rule-based parent organization will often find conflict with the parent organization’s need to follow rules and the project’s need to accomplish goals. This conflict creates additional stress that adds to the project complexity. Dealing with diverse cultures increases complexity. On global projects, language, cultural conflict with the role of women, the religious role in daily activities, and even the concept of time can becomes issues on the project. These issues require project leadership to resolve and they add to the project complexity. In some countries and even different companies in the same country, meetings start on time, and a person arriving five minutes late will cause major disruption. In other situations, meetings can start within thirty minutes of the starting time without anyone objecting. A team of project experts was sent to India to evaluate a large construction project. The team arrived and reviewed the project documents and found the project on time and meeting all project goals. After spending three days with various contractors and team managers, the team discovered the project was significantly behind schedule and would miss an important window during the monsoon season. A culture existed on the project where workers told the project management what they expected to hear, and the difference between the progress of the project team and the progress reports became so large that the difference could not be reconciled during the original schedule of the project. An increase in the number of cultures represented on the project team raises the cultural complexity. Increases in the number of cultures with which the project team must interface also increase the complexity of a project. 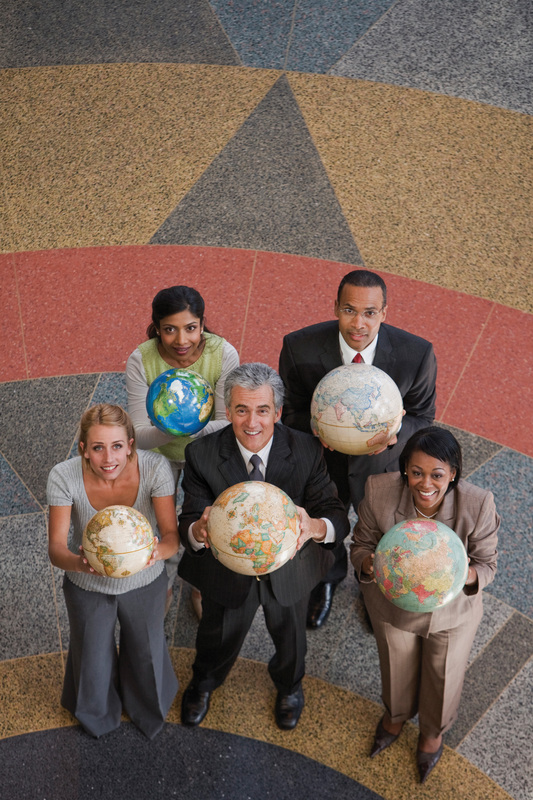 Although this cultural diversity creates leadership challenges, it also presents opportunities. The diversity of cultures presents various approaches to solving problems, and the project manager may find innovative solutions easier to develop with a diverse project team. Every project operates within one or more communities that reflect organizational dynamics and power struggles. The more important the project is to the organizational leadership, the more invested various organizational leaders will be in the project. The more people that become invested in the project and the more influence these people exhibit on the resources and activities of the project, the more time and energy will be expended by the project team in managing these outside influences. This additional stress on project leadership time and resources adds complexity to the project. The Department of Highways chartered a project to upgrade a number of bridges that crossed the interstate in one of the larger cities in South Carolina. The closing of these bridges severely impacted traffic congestion, including a large shopping mall. The contract included provisions for minimizing the impact on the traffic and communities near the construction areas. This provision allowed businesses or interested parties to review the project schedule and make suggestions that would lessen the impact of the construction. The project leadership invested significant time and resources in developing alignment among the various political stakeholders on the project approach and schedule. Projects have the potential to impact the living conditions or the health of people, plants, and animals. In addition to the potential impact to land, water, and air, the ecology includes the sights and sounds that can impact the quality of life. An increasing number of clients expect the project team to minimize the impact of the project on the ecology. An ecology that is more sensitive to disruption and a more disruptive technology will place greater stress on the project and increase the project complexity. Construction projects that require the use of explosions to effectively move rocks and dirt, projects that require the addition of twenty-five people in existing office space, and projects that require the release of strong odors like those from adhesives in an office environment will all impact the ecology. The project team develops means and methods to minimize the impact of the disruption in a manner consistent with the requirements as communicated by the client. The effort that is needed to minimize the ecological impact will influence the complexity of the project. The ecology will also impact the execution of a project. The weather is an attribute of most construction projects. Construction projects in India are often scheduled around the monsoon season, and construction projects in the Caribbean consider the hurricane season. A project to build an offshore wind farm will require an understanding of the ocean currents, the wind currents, and temperature fluctuation to understand the impact of the ecology on the project execution plan. The larger the number of potential ecological attributes and the greater the impact of each attribute, the greater the influence on the project complexity. The external attributes are the relative size of the project, duration of the project, and the available resources. The internal attributes are the clarity of its scope, the complexity of the organization, and the agreement among stakeholders. The technological attributes are the technology of the product (not the technology used to manage the project), the newness of the technology, and the familiarity of the team with the technology. The environmental attributes are the legal issues, cultural conflicts, political interests, the impact of the project on the ecology, and the impact of the ecology on the project. The external attributes considered in the DPCI are relative size, ________, and available resources. The internal attributes considered in the DPCI are clarity of scope, complexity of the organization, and agreement among _________. The technological attributes considered in the DPCI are ______ of the technology and familiarity of the team with the technology. The environmental attributes considered in the DPCI are _____, cultural, political, impact on the ecology, and impact of the ecology on the project. Under what circumstances would a large project qualify for a low DPCI score? Describe an organization structure that would receive a high score for complexity. Does the technology attribute refer to the technology used by the project team or the project itself? Give an example of a cultural problem that would have a high-complexity score. Give an example of an ecological problem that would have a high-complexity score. What is the difference between an external and an internal attribute in the DPCI? Is this an external, internal, technological or environmental attribute? Explain your reasoning and refer to the definitions provided. A case can be made for putting it in more than one. What might you find that would increase the project’s complexity and what might you find out that would reduce the complexity? Provide examples of each. 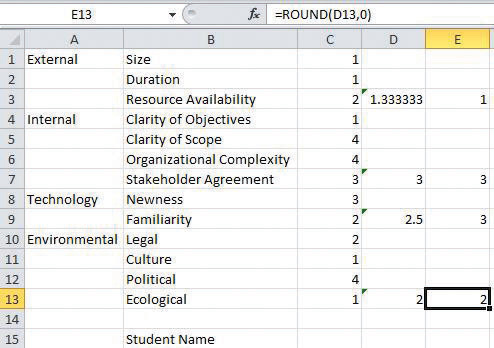 Compare the attributes used by the Darnall-Preston Complexity Index and those used by Youker. Which attributes are used in both typologies? Which attributes are not in common? If you chose to add one attribute to either typology what would it be? Explain your answer. Complex systems. A complex system adapts to changes in its external and internal characteristics. Describe a project with which you are familiar that has experienced changes in its external or internal characteristics during the life of the project and describe how the project manager and the management team changed their behavior to adapt to the new situation or how they failed to adapt and the result of that failure. Institutional memory. One of the responsibilities of a project manager is to keep a history of past projects to create an organizational knowledge base. Do you think using the DPCI™ as a basis for organizing those past projects would be useful? How would you go about creating a storage and retrieval system that uses the DPCI? Environmental impact. Describe a project that might have an impact on the environment and the steps the project manager might have to take. Describe the score you would give this attribute if you were using the DPCI.